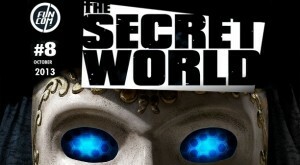 The latest content update for The Secret World, Issue #8 – The Venetian Agenda – is now live. Scenarios are now available! 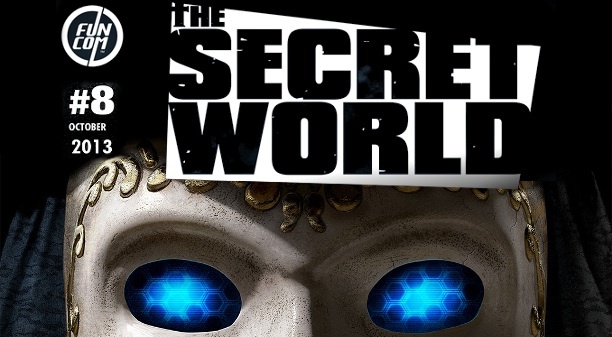 Secret Worlders can hone themselves in simulated training environments. Players can select a destination, group size, and difficulty. Protect NPCs from hordes of ravening enemies and receive certification from the Council of Venice! The Augment system can now be unlocked! Tune your abilities to suit your playstyle’s needs! A new story mission is available! The main storyline continues, ramping up to the next pivotal chapter in Tokyo. Fixed an issue where Suppressing Fire would sometimes not build resources when multiple players attacked the same target. Note that this now causes the ability to build resources at the end of the cast similar to Bloodline. Increased the duration of Advantage Me to be 5 seconds. Increased the jump distance of the chain spells Wanted, Electrical Storm, and Infection to 5 meters. Fixed item shortcut window being cleared when loading a build in the gear manager. Fixed an issue that caused minor talismans to be removed from saved builds when launching the client. Fixed an issue where the Gear Manager would not equip certain items. Fixed an issue that could prevent the Gear Manager from equipping an Elite Passive ability. Fixed an issue that could prevent the Gear Manager from equipping an Elite Active ability. Fixed an issue where the Gear Manager would preview the wrong set when more than 8 sets were saved. Increased the duration of the snare effect applied by Razor Wire. Fixed an issue that caused a visible seam to appear on character arms when wearing the Plague Doctor gloves with a long sleeved shirt. Fixed an issue that caused visible seams to appear on character legs when wearing the Plague Doctor leggings with certain boots. Fixed an issue that caused an errant texture to appear in front of a character’s abdomen while wearing the Creepy Equine Mask and being in combat stance with fist weapons. The Confession of Ellis Hill: Fixed a typo in the mission text. The Ghost of Jack-o-Lantern: All pumpkins are despawned when Jack dies. The Ghost of Jack-o-Lantern: Players can buy and carve new Jack-o-lanterns as often as they want while on the mission. Spooky Stories of Solomon Island: Removed the cooldown from this mission. The Organ Smugglers: The mobs will now properly reset if players die during the ambush. The Organ Smugglers: Organ Harvesters/Mark Davies will no longer affect gear durability. The Prisoner: Removed an errant symbol in the subtitles during the final cinematic. Last Train to Cairo: Added missing lip movement to Saïd during the opening cinematic. The Gathering: Fixed some clipping issues with Cucuvea’s hair during the mission cinematic. Deathless: Fixed some clipping issues with Cucuvea’s hair during the mission cinematic. The Sound of Children: Fixed typos in the computer used during Tier 2 of this mission. Corrupted Agartha: Creatures in the nightmare version of the Filthy Agartha instance are harder again. The new Scenario, Augment System and Story Missions are not yet available. These will be added when Issue 8 goes live. Adjusted the experience awarded to groups, depending on group size (awards are unchanged for solo play and for groups of five). Gadgets will no longer trigger the global cooldown when used. Updated the simple description for Sudden Return. Fixed an issue with the tooltip for the heal value of My Bloody Valentine. Resolved an issue that could leave the boss area for Aspect of the Long-Toothed inaccessible for future players when the boss despawns. Fixed a problem that could cause characters to drop from sprint immediately after combat. Deadly Aim now applies a debuff to all affected party members which prevents them from receiving the Deadly Aim effect for 90 seconds. Calling the Shots now also reduces the duration of the Deadly Aim blocker effect. Breaching Shot now applies a debuff to all affected party members which prevents them from receiving the Breaching Shot effect for 90 seconds. Breach Party now also reduces the duration of the Breaching Shot blocker effect. Fixed an issue where Aftershock could trigger more than once. Splatter should now affect Health Drone and Linked Veins. Misdirection can no longer be used on friendly NPCs. Fixed an issue where Chain Feed would not affect all healing chains. Sleight of Hand should be usable while silenced now. Groundwork will no longer erroneously build resources for your secondary weapon. Suppressing Fire should now add resources more reliably when multiple players are shooting the same target. The cooldown of Death From Above will now be properly reduced when using both Rocket Science and Double Dash. Fixed an issue that could cause Grand Slam’s AoE damage to occur twice per use. Updated the tooltip for Do or Die to more accurately reflect its effect. Guts and Gory should now properly trigger and benefit from Elemental Force. Tenacity crits should now trigger Empowerment. The Hinder associated with Bomb Squad should now last the correct duration. Corrected a problem with Damage Redirects which caused Benediction & Cold Blooded to increase damage taken. Reduced rubber-banding issue that occurs when certain abilities are queued. Fixed an issue that caused the reward bags from the Golem Anniversary Event to malfunction if players had the pet given by the bag stored in their bank. Replaced the temporary text being used by Mark of the Illuminati/Dragon/Templar/etc. in the combat log. It is no longer possible to stack the Signet of Salvation effect. Character sheet will now remember which stats were displayed when it was last closed. Fixed an issue where the camera would zoom in while scrolling through the Dressing Room. Notifications for new lore entries now disappear after the lore is read. Notifications for new achievements with sub-achievements now disappear when the sub achievement list is expanded. Lore and Achievements are now marked as “old” as soon as they are read, rather than waiting until the notification fades out. Added text for rarity levels to item tooltips. Added a new Lockout Timers GUI accessible through the main menu, pressing Shift+L, or clicking the lockout buff. Added a visual indication to the GUI for when players are in combat. The gradient at the bottom of the screen now scales properly when changing HUD size. Certain buffs should now always appear in the front of the buff list. Fixed an issue where the buy button was disabled on skills after purchasing a skill and having exactly enough AP to purchase the next skill. Fixed an issue where Battle Rank did not show in the character sheet for characters with maximum Faction Rank. Increased the default width of vendor windows so that all prices are visible. The broken items notification icon will now flash like other notifications. Fixed an issue that would cause a character’s legs to disappear when wearing the Ritual Coat over certain dresses. Fixed an issue that would cause a character’s legs to disappear when wearing the Innsmouth hoodie over certain dresses. Fixed an issue that would cause a character’s legs to disappear when wearing certain coat items over the Meat is Murder – Butcher apron. Fixed a case where the Delta Force – Right arm wrap would not always display on characters. Adjusted a bad seam caused by the My Flair Lady shirt. Adjusted the Creepy Equine and Unicorn hats to reduce clipping with shirt collars. Training Day: Fixed a clipping issue with Kirsten Geary during her cinematic. Death and the Instruments Thereof: Fixed an issue in the cinematic that caused Sandy “Moose” Jansen’s leg to move unnaturally. The Meowling: Werekittens should respawn quickly if there are still players in the area with the goal to kill them. The Meowling: Removed temporary text from the tooltip for the Bag of Tricks and Treats reward. Crossing the Black Path: Fixed an issue with Siabhra’s Air where the tooltip was referring to the wrong mission. Old Gods, New Tricks: Fixed a clipping issue that occurred with Tanis during the cinematic for this mission. The Dark Places: Fixed a typo in the opening cinematic. When the Hatchet Falls: Removed an extra period in the subtitles for this mission. You Only Die Twice: Fixed a clipping issue with Dragan Dzoavich’s headset. The Sound of Children: Fixed a clipping issue with Lilith during a cinematic in this mission. Hell Fallen: Killing Engine Tyrant Prime before it calls Alpha no longer prevents progress through the dungeon. Hell Fallen: Fixed a pre-encounter animation glitch on Engine Tyrant Prime. Removed an invisible barrier that was blocking a ramp in El Dorado. Fixed an issue that allowed players to reach unintended areas of N’gha-Pei the Corpse-Island (Kingsmouth Lair Raid). Collision tightened around the Squalid Hekaturgist in The Black Ankh. Fixed a location in Blue Mountain where players could get stuck between some rocks. Fixed a location in Blue Mountain where players could get stuck under a tree. Fixed some missing collision in Shambhala which allowed players to reach unintended areas. Fixed a location on The Last Train to Cairo where players could get stuck on crates. Fixed a location in Fusang that allowed players to reach unintended areas. In 2016 I plan on..
David on What Was Your Favourite Game of 2015? Me on Are These Two The World’s Most Dedicated Mario Kart Players? 5. Let us know if you'd like other feed options!